Smart towing relay designed to be installed on all modern cars with a negative earth. Suitable for modern cars with canbus, multiplex or other bulb monitoring systems. 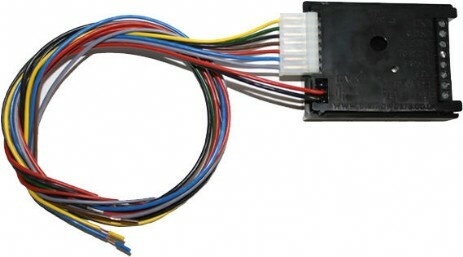 When wiring this item you do require a 15A fused 12volt power supply. The relay works by picking up the signals to the lights on the rear of the vehicle and converting them to direct 12v from the 12volt feed. This does not draw the power from the lighting circuit on the car which stops any overloads on wiring circuits and is not picked up by the monitoring system on the vehicle. The relay will eliminate any signals that the car sends to monitor the lighting system. This works with LED lights and irons out the pulses from a monitoring system.